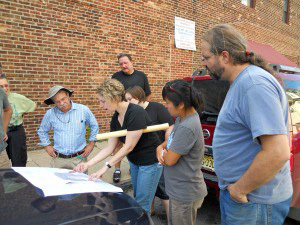 Design Charette Dreaming Part 2…Our Storefront! This past Friday, while many were already enjoying their fourth of July vacations, a group of innovative thinkers met to further MAAG’s vision in a storefront design charette. What’s that you say? You’re jealous? You’d have given up your beach blankets, summer novels, and fire crackers in exchange for a glimpse into such a collaborative process? No worries. Here at MAAG, we keep our supporters updated. So trust me, after this blog, it’ll practically be like you were there. First, picture this: Our garage in the midst of its first week of construction. On the ground are large black pipes, which will eventually be utilized for plumbing. 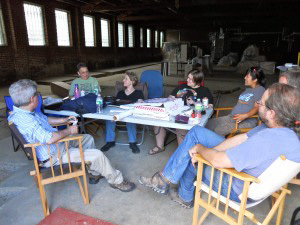 With no working-electric on site, a makeshift conference table sits in the natural light by the opening of the Garage doors. On it are the relics of nearly any charette: fresh food, cold drinks, and architectural prints. In the distance, the sounds of Mt. Airy’s First Friday can be heard. Closer though are the voices of artists, contractors, architects, sculptors, woodworkers, and organic farmers – all combining to ensure that MAAG’s storefront be one that will “wow” any passerby. Led by Morrie Zimmerman, our architect and bicyclist extraordinaire, the charette tackled several issues concerning the facade of our building. As you know, our home (located at 11 W. Mt. Airy Avenue) proves to be somewhat of a blank canvas. Yes, the bricks and mortar are fabulous. Yet how do we aesthetically distinguish ourselves from the rest of the Mt. Airy Business district while still taking the nearby residential community into account? How do we enhance MAAG’s storefront and make it an undeniable addition to an already beautiful locale? These were some of the questions which nourished the dialogue that evening. The answer, you ask? A hybrid facade that combines both functionality, nature, and art. To achieve this multi-faceted aesthetic, a grid system, which will act as an interchangeable canvas of sorts, will be attached to the wall. Not only art on the inside, but art on the outside. After all, MAAG’s rafters are already bursting at the seams with the talent of our supporters, and our doors haven’t even officially opened yet! But that’s not all! Not only will the facade feature a sleek architectural design accented by art installations, but it will also sustain a living wall. For those of you unfamiliar with the term “living wall,” it is, in the most basic sense, a vertical garden. Perfect for urban spaces, the living wall will intertwine amongst the art installations and offer visitors a literal breath of fresh air. Here, climbing plants such as grapes, pears, and hops could be grown. Who knows – maybe MAAG will even brew its own beer one of these days. Nothing is out of reach! Simply infectious, the energy of the charette motivated us to move forward and tackle issues such as lighting, exterior finishes, and of course, what is capable on our budget. Now, here is where YOU come in. To make all of this possible, we need your continued generosity and support. We’ve raised enough money to complete Phase I which primarily focuses upon the foundational aspects of our Garage, such as plumbing and electrical. However, Phase II and III are still in the works. 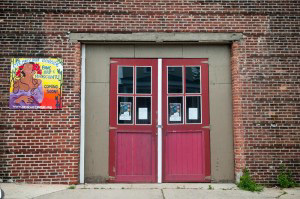 If at all possible, please donate to our Building Fund and help us achieve our joint vision of a dynamic space where all artists can gather to create, exhibit, teach, and sell their work. Together, the possibilities are endless! 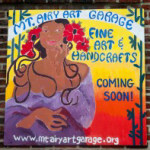 http://mtairyartgarage.org/wp-content/uploads/2011/07/DSCN0613_379-300x225.jpg 225 300 Arleen http://mtairyartgarage.org/wp-content/uploads/2016/06/maag-in-action_main-1024x274.png Arleen2011-07-11 06:16:572019-01-30 15:24:30Design Charette Dreaming Part 2...Our Storefront!